Bye to All Acne Scars! Without a doubt, acne is one of the most frequent skin pathologies. After its passage, and depending on the type of skin, severe acne often leaves scars that until now could only be eliminated with highly aggressive and high-priced treatments such as laser and other invasive procedures. The scars that the most severe types of acne can leave range from pigmented spots to clefts or furrows that can seriously compromise the quality of life of affected people given the great importance that is given to physical appearance at present. Fortunately, thanks to the Derma Roller treatment today, it is possible to eliminate these marks without having to undergo any aggressive treatment that perhaps only mitigates the scars. In addition, the effects are achieved in a short time and with a low cost, without attacking the skin. Thus, Derma Roller for acne scars avoids the side effects produced by conventional treatments such as chemical exfoliation and dermabrasion that are being used to treat the damage caused by acne and that usually cause severe allergic reactions in addition to other cutaneous complaints. The high tolerance and harmlessness of Derma Roller makes it an ideal product that can be used on all skin types, since even the most sensitive skin will benefit from its results. So, let us find out more about this amazing treatment. How does derma roller for acne scars work? The Derma Roller for acne scars is a device equipped with micro-needles made of titanium that a complete and effective treatment. Derma Roller returns to the skin its primitive smoothness and uniformity. This is achieved thanks to its gentle but effective stimulation of the natural production of elastin and collagen – two proteins that make up the cutaneous structure and provide the skin with elasticity and firmness, respectively. In this way, the skin is filled, the pigmentation disappears, unifying the cutaneous tone and the tone is recovered. How to improve the effect of derma roller treatment? To accelerate the process and improve the results, the Derma Roller can be used together with a topical treatment, since it will optimize its absorption in an exceptional way. This is because with the use of the Derma Roller the skin is much more receptive to its properties. Therefore, to complete the advantages of this novel aesthetic device, it is recommended to use special ampoules whose unique components will easily penetrate the damaged skin to renew the cells permanently. How does the exclusive ampoule improve the skin texture by removing acne scars? These exclusive ampoules are known to accelerate the healing processes when used topically. This characteristic gives the skin a young and healthy appearance besides accelerating the healing process. Derma roller improves the structure of the skin and its external appearance, whereas the nourishing ampoules favour the natural production of collagen thanks to its antioxidant power. Therefore, it achieves a fully effective anti-aging effect, also providing brightness to the face. Some ampoules also act as a potent antioxidant, but it is especially interesting because of its effects on the spots on the skin surface, equalizing and unifying the tone. For instance, ampoule of organic silicon is an essential trace element that has many beneficial qualities for the skin as depigmentation as well as being a powerful ally to accelerate the process of cellular renewal at the skin level, since silicon is a component that is naturally found in our skin. Finally, it is important to know that when all these ingredients act together after a session of derma roller treatment, their effectiveness is even greater. At last, it is possible to cure the traces that acne has left on the skin without resorting to expensive treatments that may further compromise the health of our skin. And it is thanks to the regular sessions of the Derma Roller treatment with the exclusive ampoules, that we have at our disposal a real treatment of luxury that guarantees excellent results on the most punished skins. It is always important though to get specific advice in each case as to the number of treatments required and costs from a Medical Professional who also offers a number of other acne scarring treatment options as well and then weigh up the benefits of each treatment option before deciding on the derma roller as one’s treatment option. For further information on derma roller treatments at Nitai Medical and Cosmetic Centre, feel free to contact us at admin@nitai.com.au. How Does Skin Peel Work? Every scar tells a story…a story of painful memory that we are probably trying to forget. Be it acne scars or accidental scars, it is always better to leave that unwanted chapter behind. This is where skin peels plunge in at the rescue. The chemical peel is known for its rejuvenation of the skin. Apart from scars, other merits of skin peel treatment include treating skin issues such as wrinkles, sun spots, acne remnants and premature aging. Although the real question is if this type of treatment really effective? When we go for a chemical peel treatment, what we are expecting is that our face gains more luminosity and the superficial layer of grime and dead cells is gently removed from our face. By the means of chemical exfoliation, such effective results can be seen. The scars fade away, a certain glow is exhibited in the face and the skin pores tighten only after a few sessions of chemical peel treatment. Undoubtedly, this type of aesthetic interventions improves our appearance, but, firstly, we need to select the right kind of skin peel. The process of selecting a chemical peel is not as easy as selecting a brand name and then stick with it, in case of chemical peel treatment, it is important to gauge what type of peel suits your skin condition. In each category of chemical peel, there is a greater incidence in the skin, as well as in its results and the damage caused in the face. That is why it is extremely crucial to know what we need, so as not to irritate the skin more than it should. Is it really as effective as it claims? In theory, the results are more than evident. Therefore, it can be said that, yes, doing a chemical peel works. But, of course, you should always maintain the periods of rest and the healing rituals necessary after a treatment of this type. On the contrary, if the advice provided by the experts is not followed, the peeling could lead to irritation, allergies or even burns. The three types of chemical peels that exist are superficial, medium and deep. In each one of them, a progressive exfoliation of the layers of the skin is made. Going by order, the first would treat the most visible area of the face, while the other two would have a greater incidence in the dermis. The superficial peel is a type of chemical peel treatment that can be done weekly, but up to six times in a row, since then it would touch a long period of rest to regenerate the dermis again. With a marked periodicity, this treatment consists of eliminating small wrinkles, very light and little extended spots or flaccidity. outermost layer. Even so, the protection with sunscreen should be done daily throughout the year, so that it does not affect since it remains a kind of regenerated skin more delicate and less protected with this type of repeated processes. So, what do you think will suit your skin most perfectly? Well, we suggest you visit a cosmetic physician first to understand the texture of your skin and also the efficacy of the treatment in your case. After that only, you will be able to decide the course of action. For further guidance or a free consultation, get in touch with us at admin@nitai.com.au. Did You Find the Best Acne Treatment For Teenage Years Yet? The cycle of growth from childhood to adulthood brings a set of unforgettable experiences that we carry forward in our life. But, alas…not all experiences are worth treasuring. For instance, the ugly marks and pain of acne. The soft, smooth and flawless skin of childhood gets tarnished with the consistent occurrence of acne due to the hormone changes in the body. So, what are the easy acne removal treatment for teenagers? Acne is the most frequent inflammatory skin disorder in humans, as it can affect up to 80% of the population at some point in their lives. The peak period of being victimized by acne outbreak is at the adolescence stage when our body passes through numerous physical and mental changes. The cutaneous development that is experienced during adolescence or teenage years by the hormonal stimulus implies an increase in the formation of sebum that, in excess, can plug the pores and form the initial lesion termed as acne. The bacteria present in the facial skin resides at the base of the hair follicles and infect it, thus producing the painful acne. Our cutaneous bacterial flora has the optimal conditions to grow and increase the probability of infecting the comedones, producing then the papules and pustules (“pimples”), which are also characteristic of acne. Male hormones (androgens) experience a peak during the endocrine development of puberty. One of the consequences of excess androgen is the increased production of sebum, which in turn congests the pores and as a result, acne epidemic takes place. This fancy term means that people with acne often have irregular cell organization in the pore walls, which facilitate the unwanted plugging of the pores. This is, without a doubt, one of the most important factors in the origin of acne. In the great majority of occasions, the diet does not have an important role in the genesis of this disorder, but, recently, it has been concluded that it is possible the consumption of an excess of sugar may aggravate the risk of acne. The rest of food (like the sausages, nuts, etc.) have no proven role in this regard. They are substances that unclog the pores by dissolving the material that obstructs them. They include salicylic, glycolic, retinoic and lactic acid, among others. They reduce the production of sebum and improve the structure of the cells of the pores so that it does not become clogged. They are the cornerstone of acne treatment. They are called retinoids (derivatives of vitamin A), and there are topical (tretinoin, isotretinoin, adapalene) treatment and oral (isotretinoin). They improve inflammatory signs such as redness, swelling, and pain and reduce the bacterial population. These include benzoyl peroxide and adapalene, mainly. They can be administered topically or orally. Tetracyclines are mainly used for acne removal treatment for teenagers, which includes clindamycin, doxycycline, minocycline, etc. It must be borne in mind that antibiotics should never be used as the only treatment since the bacteria becomes resistant to them as time passes. With the combination or isolated use of these therapeutic options, it is possible to manage or cure adolescent acne through simple treatments and with a very high safety profile. There are myriad cosmetic treatments available for acne, which are extremely effective and without any discomfort eliminates all the acne marks and bumps. In this non-invasive acne treatment for teenagers, blue light of 405-420 nm wavelength is used to kill the acne causing bacteria, thus controlling the rampant acne outbreak. Microdermabrasion is a skincare treatment in which the layer of insipid dead cells is exfoliated with a diamond-tipped wand and all the grime, oil and dead cells are then extricated from the skin with the help of a vacuum pump. Microdermabrasion makes the skin healthy and eradicates all the causes of acne. Skin Peels work their magic by removing the accumulated layer of dead cells from the face, revealing soft, smooth and glowing skin beneath. A few sessions of skin peels remarkably reduces the appearance of acne scars and marks, bringing forth a healthy sheen to the skin. Laser treatments are very much renowned nowadays because of their faultless results without any inconvenience. In laser acne treatments, laser pulses of appropriate wavelength are projected into the affected area. The light eliminates the bacteria and repairs the skin by stimulating cell regeneration in that area. Laser acne treatment is a non-invasive technique, which is most suited to help you get rid of the stubborn acne of adolescence. Theraclear acne treatment extracts excessive oil or sebum, kills bacteria and improves the texture of the skin with the help of a vacuum and the pulsed light. This is a highly preferred acne removal treatment for teenagers as it heals the skin and completely destroys the acne-causing bacteria. Acne is a disorder that impacts the patient psychologically and can leave irreversible scars in highly visible areas, so it is necessary to treat it actively and not interpret it as the result of a passing phase that will rectify over time. Do you know what is the worst nightmare of a girl or woman (in some cases)? Getting a big fat pimple just before the day of your most awaited event. Be it any part of the world, having a face full of pimples not only affects the image and self-esteem of women and teenagers, but can cause pain and, in the most acute cases, leave marks on the skin for years. Why only talk about women? Actually, this is a phenomenon that might leave most of the men also anxious. Even though there are many acne removal treatments in Melbourne, it is best to understand a few basic traits of acne to keep it at bay. Acne is a disease that many people suffer at some point in their lives but due to deficit of proper information or the abundance of false information, to be precise, it becomes difficult to get rid of acne completely. So, here we have accumulated everything you need to know about acne and acne removal treatment in Melbourne to bid them a permanent adieu. Acne is a condition of the skin that occurs when the minute pores in our face get congested as a result of the coagulation of the dead cells, sebum, oil and dirt. The pores are connected with the sebaceous glands under the skin through the tubes called follicles and produce a greasy substance called sebum. When the sebum goes up through the follicles to the pores, it carries with it the dead cells that are thus expelled to the outside. When a follicle is plugged for whatever reason, bacteria in the sebum or dead cells create an infection, and thus acne starts appearing. Most of the pimples are formed on the face, neck, back, chest and shoulders. They do not usually pose a serious threat to health, but they can be annoying, painful and leave scars. So, refer to effective acne removal treatment in Melbourne. It is difficult to say what causes pimples, but we can conclude that as acne is a disease of complex factors, several causes may intervene in different measures. Understanding the right reason may help in finding the right acne removal treatment in Melbourne. If one of your parents suffered from acute episodes of acne, it is more likely that you will experience the same, because there is a relationship between genetics and this disease. Genetic codes influence the structure of the follicle, the activity of the sebaceous glands, the hormonal levels and the response of the immune system to bacteria, which are some of the factors that intervene in the development of acne. So, genetic factors have a direct impact on acne outbreak. When we say that acne is an intensely hormonal disease, the cause is that the hormones regulate the activity of the sebaceous glands, the production of sebum and the immune response to the bacteria that cause acne. For this reason, people facing the changes in life stages such as pregnancy, adolescence, etc. are more likely to suffer from acne, and that is why hormonal contraceptives are sometimes used as anti-acne treatment. Acne, especially inflammatory acne is actually caused by the bacterium called Propionibacterium acnes ( P. acnes ). They dwell in the pores and follicles of the skin and generates molecules that trigger the immune response, resulting in redness and swelling, the typical traits of acne. For this reason, antibiotics are sometimes prescribed as a part of the treatment for acne. However, many varieties of P. acnes have developed resistance to commonly used antibiotics, which makes treatment difficult. Temperature, humidity or sunlight also affect the severity of acne. The cold makes the sebum of the skin denser, which favours the clogging of the pores. The dryness of the environment can cause the skin to generate more sebum to protect itself, thus increasing the acne generation in skin. 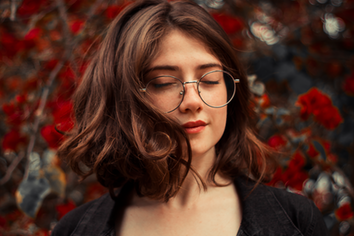 The sun, allergies and other factors can influence the hormonal production, skin structures or bacterial colonies that end up influencing the appearance of the small, red acne bumps. The stress is a known factor that imbalance the hormone levels and affects the immune system, and both are involved in the onset of acne. It is a common saying that eating greasy food triggers acne. Science has not been able to find evidence to support this belief, but there does seem to be a relationship between diets rich in sugars and simple carbohydrates and acne as high consumption of those initiates acne outbreak. Most cases of acne do not need specific medical attention since they are sporadic outbreaks, not very severe and that end up disappearing with time. Although, we have a few tips that might help. To begin with, avoid poking the pimples. It is difficult to resist the temptation to exploit pimples, but try to do it. The skin will heal faster if we don’t poke the pimples, also touching pimples with dirty hands might cause infection. Wash your face with warm water a couple of times a day, and especially after sweating. Use a mild cleanser to wash the face with the tips of your fingers. Avoid the sun and do not use tanning booths. Sunlight has UVA rays that are very aggressive to the skin, something that adds to the aggression that acne already involves. Use a suitable sunscreen (ask your physician) and stand in the shade. Keep your face clean, free of dead cells. Hence, exfoliate your face once a week and do not let your skin dry out. Mostly, people try using antibiotics along with topical applications such as benzoyl peroxide, sulphur, etc. to kill the bacteria from the skin surface, but that does not provide a permanent solution to the acne problem, henceforth a visit to the skin clinics are mostly referred. For acne removal treatment in Melbourne, it is best to visit a proper certified cosmetic physician who can treat both acne and its horrendous scars. With the availability of amazing skin treatments such as microdermabrasion, chemical peels, theraclear acne treatment, laser treatments for acne, etc. it has become easier to fight the causes of acne and control the breakouts eradicate them completely. Speaking of acne removal treatment in Melbourne, there are numerous innovative methods introduced till now, but it would be best to visit a cosmetic doctor in Melbourne first, to understand what exactly is causing the acne outbreak and which acne removal treatment will be helpful in suppressing it. Remember, even though there are lots of options on acne removal treatments out there, only one will fit you right. So, pick the right one instead of squandering money and energy on all the wrong ones. Consult a licenced practitioner to proceed on the right path. Do You Know What are the Side Effects Involved with Derma Rollers? Who doesn’t wish to look beautiful? Can you name someone…anyone, who doesn’t? We buy new dresses, get a new haircut and try different types of new cosmetics…all in order to look glamorous, attractive and noticeable. As the desire to look beautiful in humans is increasing, so are their efforts in that path. Hence, frequent visits to licensed skin clinics in Melbourne have become a ritual, since the past few years. Following the trend, the derma roller treatment that is used to cure different types of scars, pigmentation and marks, has become quite popular. But, the prospect of being pricked by hundreds of needles is a bit unsettling, I believe, even though the feedback of patients after the treatment has been exceptionally good. Like any other skin treatment, there are certain concerns and risks that we need to know before trying out this skin rejuvenating treatment. Derma roller is a scientific device that is attached with numerous fine needles in its head. This device is rolled over the skin to get rid of pigmentation, stretch marks, acne scars, accident scars, and wrinkles. To resist the pinching sensation, a topic anaesthesia is applied in the skin before starting the skin needling treatment. When derma roller is rubbed over the face, it punctures the upper epidermal layer to activate the skin’s healing process by rapid creation of collagen proteins to form new tissues. The young tissues are more even in tone and texture and quite firm in nature. Thus, derma roller efficiently rejuvenates the whole face diminishing the marks and creases. Derma rollers can be bought from several online cosmetic websites or from aesthetic shops. Although, it is best to undergo the derma roller treatment under the supervision of a cosmetic doctor as the home kit of derma roller does not prove that effective. It is cautionary also to seek a licensed practitioner for microneedling treatment as normally, we lack both skill and knowledge required for this treatment. What are the side-effects of derma roller treatment? The derma roller treatment, when done at a professional skin clinic in Melbourne, the scope of any sort of harmful impact is reduced to a great extent. For the pain and discomfort to be of a minimum level, the selection of needles and the technique should be precise. There are chances of side-effects involved with the derma roller treatment if proper precautions are not taken before and after the skin needling treatment. Who should not be undergoing the skin needling procedure?  If he/she is suffering from skin disorders such as eczema, psoriasis, etc. How much time does derma roller take? Is it worthwhile? A single session of microneedling requires nearly 30 minutes. And from the brilliant results that we have witnessed in some patients after the treatment, we can conclude, derma roller is definitely worth it. Continuous sessions of derma rollers improve the texture and elasticity of skin, reduces the appearance of wrinkles and lines, heals scars and stretch marks and erases pigmentation. So, mostly, just have a proper consultation from your physician, and give it a shot. When you have found the right skin clinic and right aesthetic physician, looking ageless is not so difficult. 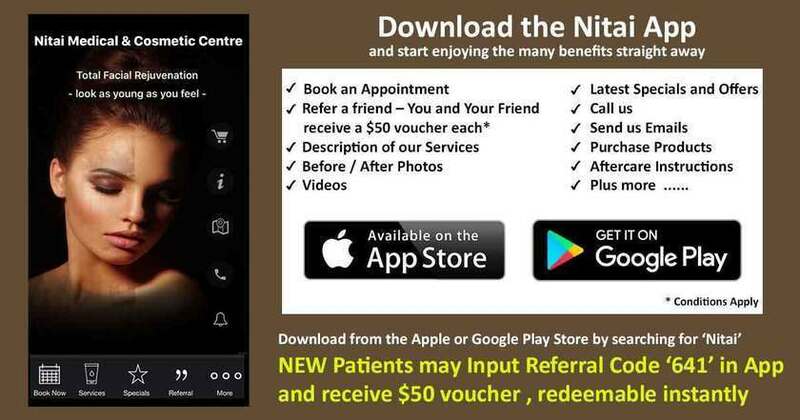 For any information on anti-ageing treatments or a free consultation, visit Nitai Medical and Cosmetic Centre in Melbourne. Also, read the five reasons why Nitai Skin Clinic provides the best derma roller in Melbourne, to know more about us and our treatment procedures. We would love to be a part of your journey towards glam and beauty! Fed up of your acne scars? Want to see your stretch marks vanish? Wondering how to get rid of wrinkles and fine lines? Well, here comes an ultimate solution to all these sorts of skin issues. With the use of innovative derma rollers, the collagen production in that area is augmented immensely, thus rejuvenating the skin and banishing the appearance of wrinkles, stretch marks and acne scarring. Derma roller is a scientific device, whose circular head consists of hundreds of fine needles that puncture the upper epidermal layer so that the vital ingredients penetrate deeper within the skin for improving the skin health with an increase in collagen formation. 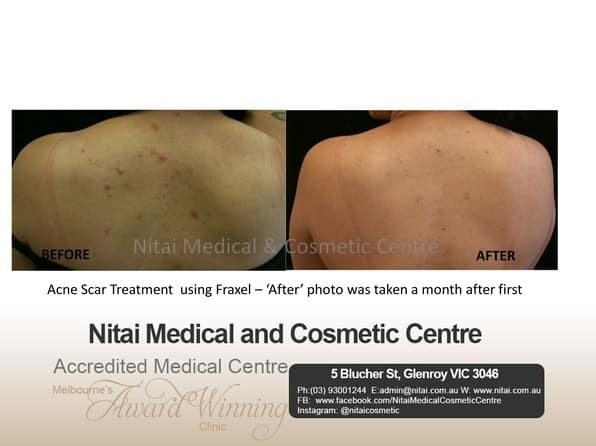 At Nitai Medical and Cosmetic Centre, we pride ourselves in providing the best derma roller in Melbourne. But, of course, you must be wondering why our dermal roller is considered best in Melbourne? Derma roller is a tricky treatment that requires both expertise and skill from the physician’s end. The licensed cosmetic doctors at Nitai Medical and Cosmetic Centre facilitate both. They are proficient in their field and have performed the treatment on numerous patients and received excellent feedback. Their outstanding knowledge and experience in the required field provide us with a visible edge over others. Nitai Skin Clinic uses brilliant quality derma rollers. The important aspect of this skin needling treatment is the precision and finesse of the needles attached to the head of the wand. Depending on the skin requirement, the needles must be selected for effective results. The right needles of derma rollers enable the derma roller treatment to proceed impeccably, establishing it as the best derma roller in Melbourne. Due to the use of multiple needles, this treatment may turn out to be quite painful if proper precautions before the treatment are not taken. At Nitai Medical and Cosmetic Centre in Melbourne, we take proper care of the patients so that the whole process unfolds without any hitch. At first, the face is thoroughly cleaned with the help of a soothing cleanser, then topic anaesthesia is applied to stop any kind of inconvenience. This pre-designed regime prepares the skin for derma roller process. After the treatment, the outer epidermal layer becomes very sensitive and so it requires proper care post derma roller treatment. The emollient used at Nitai Skin Clinic helps in soothing the skin and the effective constituents used in the course of the treatment improves revitalizes the skin. This genuine concern and care for the patients make it the best derma roller treatment in Melbourne. It is said, the right tool in the right hands can perform miracles. It is true for our cosmetic doctor Dr Shobhna Singh. She very tenderly cares for her patients and has helped innumerable patients till date with derma roller treatment. Her unique technique aids in augmenting the tissue formation process whereas negligible to zero damage is done to the skin. These are the few reasons due to which Nitai Medical and Cosmetic Centre is recognized as the destination for the best derma roller in Melbourne. So, if you are tired of acne scars, wrinkles, pigmentation, stretch marks, etc. come and visit us for a consultation. Do You Know What are Acne Causes? Learn The Tips To Cure Acne. Unbearable pain, itchiness, scars, and dull skin… the most infamous gifts of acne! Lucky few get rid of them after the teenage years are over, but, unlucky few like us have to deal with them for a much longer period of time. Many times, it so happens that we wake up in the morning and half-expect these ugly acnes to just disappear, but, when we stand in front of the mirror, to our utter horror, we find out, they have multiplied…again!! Face, neck, chest, shoulders and upper arms are the areas that are most commonly victimized by the acne and its stubborn marks. Mostly, all the irritating facial concerns like blackheads, whiteheads, cysts, pimples, nodules and papules fall under acne problem caused by P. acnes bacteria. Though with the progression in dermatological science, many safe and effective acne removal treatments as well as acne scarring treatments have evolved, at Nitai Medical and Cosmetic Centre, we suggest before investing big bucks on one of these acne treatments, try understanding what is the cause behind acne outbreak. After all, haven’t you heard, understanding a problem is the first step towards solving it? So, let us find out more about acne causes in order to prevent its occurrence. located at the base of the hair follicles. This sticky combination of grime, sebum and dead cells clogs the pores of the skin and in time gets infected by P. acnes bacteria, resulting in the outbreak of different types of acne. Precaution: The only method to avoid acne caused due to this reason is by keeping the face clean. Wash your face with a PH balanced face wash, in the morning and night before retiring to bed. Use of tea tree oil toner once a day will help in destroying the bacteria and also proper exfoliation once a week, followed by anti-acne mask will help in keeping the face clean and pimple free. For better results, one can also try a few sessions of microdermabrasion skin treatment from a dermatologist. A sudden change in our hormonal level might result in the appearance of acne and this is exactly the reason why teenagers get acne after hitting puberty. When we approach adolescence, our body starts secreting dominating amount of androgen which then gets converted to estrogen. This excessive amount of androgen in our body enlarges the sebum glands, thus activating the glands to produce a large amount of sebum content. The exceeding quantity of sebum increases the growth of bacteria, which is one of the primary acne causes in females. Precaution: Keep your skin clean to fight acne and also improving the diet might help in this case. For instance, avoid munching on oily, greasy food and consume lots of green and fresh vegetables, fruits, walnuts and fish. A diet change will definitely help to get rid of acne if this is the reason behind acne and its tenacious spots. Stress and strain of our hectic lives not only affect us mentally, but it harms us physically also. The perpetual stress creates havoc within our body, disrupting the hormonal balance completely. Irregular hormone secretion due to stress or depression can activate the glands to produce extra sebum, thus making the skin oily and acne prone. Precautions: Even in hectic schedules, try relaxing a bit. Yoga or meditation certainly helps in soothing mind. Along with that, try getting proper sleep, it will rejuvenate both body and soul, thus eliminating the acne causes also. Cosmetic products generally come in two types of bases: one is oil based and another is aqua based. Oil-based cosmetics or creams have a tendency of blocking the skin pores and also it makes skin very sticky, thus attracting grime to the skin easily and suffocating it. Sometimes, after applying a new skin product, we develop certain acne problems, it is because of the oily base that any person with acne prone skin must avoid. Precautions: Before purchasing any new skin product, check whether it is oil-based or aqua-based. Always buy aqua based skin products as they are easily absorbed in the skin but does not leave a sticky residue on the skin. If someone is having PMS or PCOS or any other menstruation-related problems, then acne outbreak is pretty common. It is, in fact, a symptom of such diseases. Also, during the menstrual cycle, acne appears due to disruption of hormonal balance. So, if menstruation issues are the acne causes, it is best to pay a visit to a doctor. Precautions: In this case, a consultation with a gynaecologist doctor will be a wise decision. Apart from that, for acne removal, theraclear acne treatment can be implemented for effective reduction in acne occurrence. With respect to hereditary connections, sometimes, we inherit the gene that is responsible for acne production, which means if in a family, the ancestors had severe acne issues, then it is possible this acne disorder will transfer to the future generation as well. In such a case, the best we can do is keep our skin clean and use anti-acne cream and other anti-acne skin products. Precautions: When genetic codes bear the acne causes, it is best to maintain skin hygiene and eat healthily. Also, to get rid of acne, acne treatments at a good skin clinic in Melbourne will definitely help. Our lifestyle has a profound impact on our appearance. Present day lifestyle mostly means erratic sleep timings, junk food binging, late night working hours and parties, etc. All such factors lead to acne eruption and the only way to prevent acne, in this case, is by adjusting our lifestyle in proper order. Precautions: A healthy lifestyle and fresh, balanced diet is the secret acne cure in this case. 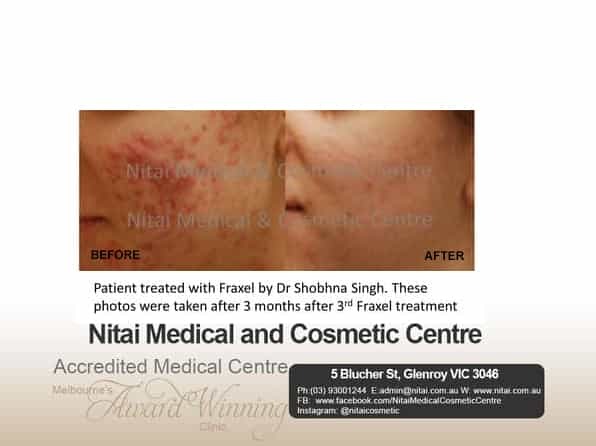 At Nitai Medical and Cosmetic Centre, Melbourne, we offer a wide range of acne treatments to remove both acne and its scars. But, to eradicate them completely, it is best to follow a proper skincare regime every day along with our preferred acne treatments, which eradicate all the acne causes from the root. And we make this dream come true with our efforts and endeavour! Have you tried microdermabrasion, the most effective solution to flawless skin? Does your skin feel rough to the touch? Has your skin complexion dulled with time? Are you tired of the stubborn acne and its scars? Then it’s time to listen to your skin’s plea! Everyday dust, pollution, harsh sun and smoke diminishes the natural allure of the skin making it dull and lifeless. This is due to the accumulation of grime, clogged pores, and deposition of layers of dead cells. Over time, the exposed skin thus develops various skin disorders such as acne, wrinkles, folds and other premature signs of aging. At such a time, what your skin really needs is to breathe freely without the interference of pollutants, dead cells and clogged pores. To meet that vital demand of the skin, the dermatologists over the globe suggest an exfoliating technique called Microdermabrasion. It is a one-in-all treatment for acne reduction, scar removal, dead skin extraction, complexion correction and blackheads as well as whiteheads removal. Interested to know more about skin microdermabrasion? Scroll down and read through to know what the dermabrasion medical treatment is all about. Microdermabrasion: what is this complex sounding term? Microdermabrasion is the technique that makes skin smooth, supple, acne free and youthful by eliminating the layer of dull, dead skin and grime. In this process, a crystal or diamond-tipped microdermabrasion wand is used, which exfoliates the skin intensively revealing fresh, flawless skin beneath it. When should you go for this treatment? In day-to-day city life, when the continuous exposure to sun and pollution steals away the natural glamour of the skin and replaces it with acne prone, scarred, dull and rough skin, then to get relief from such coarse skin, one can opt for microdermabrasion. Irrespective of any age, when your skin requires a deep scrubbing or cleansing to improve your skin condition, microdermabrasion is one of the highly sought options. What are the different stages involved in this process? Cleaning: The whole process starts with a completely thorough cleansing session. A gentle cleanser and scrub are used to remove all sorts of impurities, dirt and oil from the face. After that, a mild peel is followed by a steam to soften the skin for deep scrubbing. Exfoliating: Next, with a diamond-tipped microdermabrasion wand, the face is deeply scrubbed, thus removing the upper layer of lifeless dull skin. Suction: With a gentle vacuum pump or suction device, the separated dead cells and impurities are then extricated. Soothing: After this whole process, the skin remains a little sensitive. So, the skin is first cleansed with a very mild cleanser and then an emollient moisturizer is applied, followed by a good sunscreen. Is it very painful to undergo this process? This skin treatment is a completely safe (with a well understood risk profile) and painless procedure, but once the process is over, one might notice the skin to be a little red and blotchy for some time. It is nothing to be worried of as within a day or two, the skin becomes normal. How many sessions does it require? It generally requires completion of 4-6 sessions at an interval of 1 or 2 months between two sessions for effective results. Why choose dermatology clinics over other spa centres and home treatments for microdermabrasion? Since at dermatology clinics, high power vacuum pump and microdermabrasion wand is used. It enables deeper and better exfoliation and hydration of skin compared to that achieved at a beauty spa or home. Moreover, at any dermatology clinic, utmost care is taken towards sanitization and hygiene; all the instruments and devices used for dermabrasion treatment are properly sterilized. Thus, any chances of infection become very less if it is done at one of the very best skin clinic in Melbourne rather than at a spa or home. Is there any precaution that we must follow concluding this skin treatment? After undergoing dermabrasion, the skin remains sensitive for a couple of days. During that period, it is advisable to keep the skin hydrated by applying a light, non-greasy moisturizer and also a broad-spectrum sunscreen is prescribed to protect the skin from any blemish or wrinkles from sun damage.